Rubber Room Ramblings: FREE MARKERS! 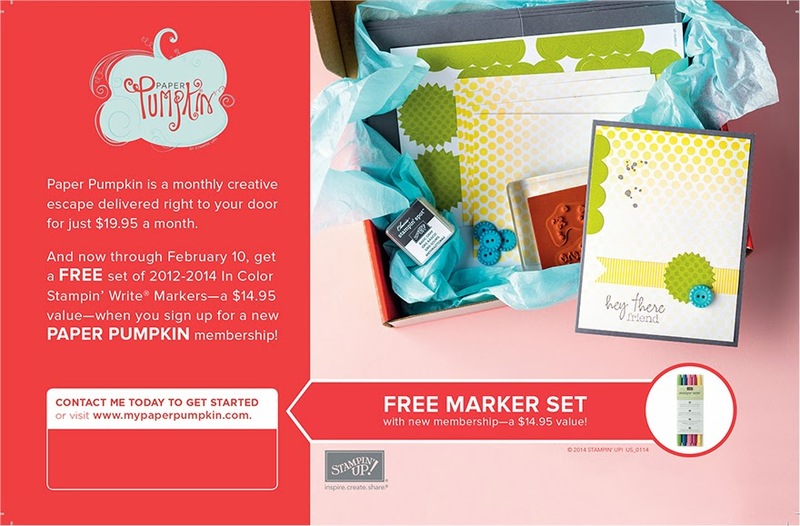 Sign up to receive My Paper Pumpkin by February 10th, 2014 and receive a set of 2012-2014 in-color markers FREE! 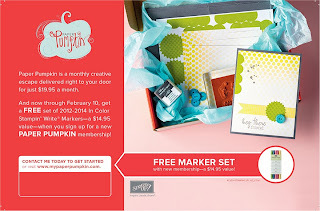 SIGN UP FOR YOUR PAPER PUMPKIN HERE!